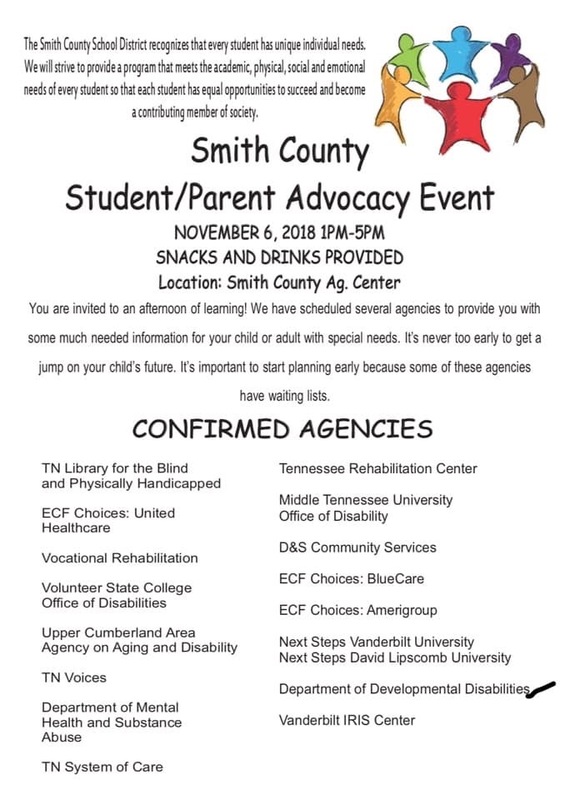 The Smith County School District will host a Parent and Student Advocacy Awareness Event on November 6, 2018, from 1:00 p.m. until 5:00 p.m. at the Smith County Ag Center. This event is designed to introduce caretakers of children and adults with special needs to helpful community resources and information. Snacks and drinks will be provided. The Smith County School District recognizes that every student has unique individual needs. 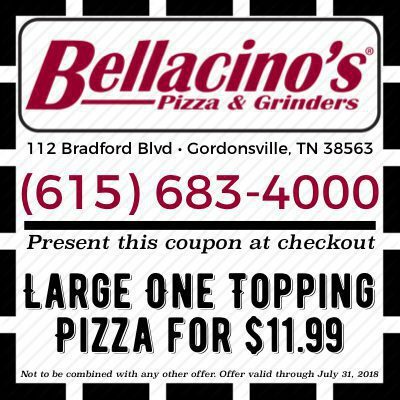 They strive to provide programs that meet the academic, physical, social, and emotional needs of every student so that each student has equal opportunities to succeed and become a contributing member of society. Everyone is welcome to attend the Student/Parent Advocacy Event, and several agencies that advocate and provide resources and programs for people with special needs will be present. Look at the flyer below for a full list of confirmed agencies. If you or someone you know is responsible for someone with special needs, there is an agency out there ready to support you on your journey. If you are a potential employer and you want more information about employing students or adults with disabilities, Vocational Rehabilitation will be there to answer any questions you may have.